Press Release Posted 4/24/12 – Following a soft opening on Saturday, April 21st, Sierra Madre’s newest downtown business, P.E. 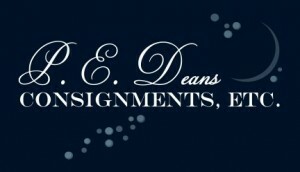 Deans, a furniture and houseware consignment store at 49 W. Sierra Madre Blvd. , will hold its Grand Opening celebration on Friday, May 4th at 5pm with a traditional ribbon-cutting by the Sierra Madre Chamber of Commerce, followed by a reception in the store. Featuring fine quality furniture, decorative accessories, glassware and gifts, P.E. Deans is named for the owner’s mother, Patricia Elizabeth Deans, said owner Sherry Grossi, who, with her husband, Cesare, also own Zugo’s Café across the street. Having spent much of her life in the retail industry, Ms. Grossi is excited to offer contemporary and traditional furniture by some of America’s finest manufacturers, with the current inventory including merchandise by Baker and Kreiss, among others, at very affordable prices. P.E. 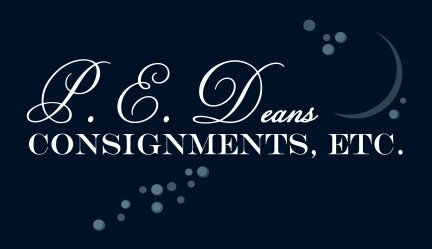 Deans is open from 11 to 6 on Tuesday through Friday, 10 to 6 on Saturday, and 10 to 3 on Sundays. They are closed on Mondays. The website, currently under construction and coming soon, is at www.PEDeans.com. If you have some quality items you’d like to consign, please call Sherry at (626) 355-0400.